Just like traditional marketing, Internet marketing is crucial for success. It’s no secret the majority of consumers now use search engines and social media sites to find products and services they’re looking for. LinxSmart carefully studies your marketing strategy to identify key components like your target audience, strengths, weaknesses, opportunities and threats. With all of this information, we develop a clearly defined Internet marketing campaign which may utilize Internet Marketing practices such as search engine optimization and marketing, social media marketing, pay-per-click (PPC) advertising and video marketing. LinxSmart’s Internet marketing strategy will increase your return on investment (ROI), increase revenue and reach your target audience to generate potential clients. 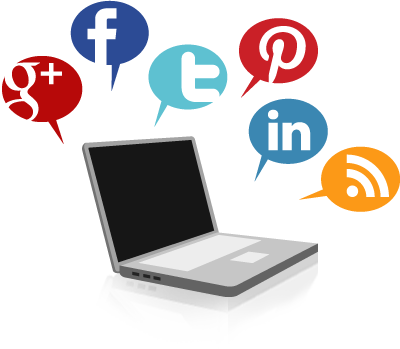 With any great Internet marketing strategy social media plays an integral role in it’s success. Social networks like Facebook, Twitter, and YouTube increase the reach your company has from your local area to the world in a matter of a few clicks of a mouse. Large audience- larger revenue potential. LinxSmart can help you develop and maintain your social media activity to keep the potential client engaged and returning to your website.